Alaskan Girl Ccouts are a rare breed according to Seward City News. Local Girl Scouts recently participated in an 8 mile hike to complete a wildflower scavenger hunt along the way. Slightly sunburned and in high spirits from the day before, the girls completed their patch requirements by crafting in the morning sun. Continuing with the wildflower theme, they needle-felted, painted t-shirts, and created pressed flower collages. 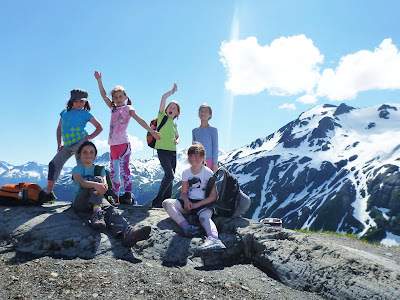 All of the girl scouts successfully earned their Resource Stewardship Scout Ranger patch and can’t wait to come back to Kenai Fjords National Park for another adventure.